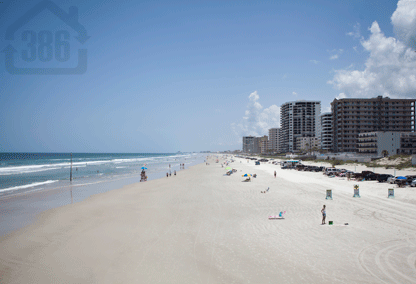 Find your dream condo on the Atlantic Ocean in Daytona Beach Shores! Daytona Beach Shores condos are among the most popular real estate purchases in central Florida for their quality, affordability and unbelievable location. Luxurious condos as well as smaller condos perfect for retirement share the sights and sounds of the World's Most Famous Beach. Condos in Daytona Beach Shores are generally more private and most buildings offer excellent community amenities such as swimming pools, fitness facilities, club rooms, tennis, golf and more. Browse Daytona Beach Shores condos for sale below or call us at (386) 527-8577 for personalized assistance.